More than a dozen states have called for international law on incendiary weapons to be reviewed and strengthened in light of civilian casualties, particularly in Syria. Despite these statements and letters, no concrete action has been undertaken yet to address incendiary weapons concerns beyond condemning their use. Protocol III of the 1980 Convention on Conventional Weapons (CCW) bans the use of air-delivered incendiary weapons in areas with “concentrations of civilians” and has been ratified by 112 countries, including all five permanent members of the United Nations Security Council. Sri Lanka’s Ambassador Ravinath Aryasinha chaired the CCW’s annual meeting of states at the United Nations in Geneva on 9-13 November 2015, where incendiary weapons concerns were raised. 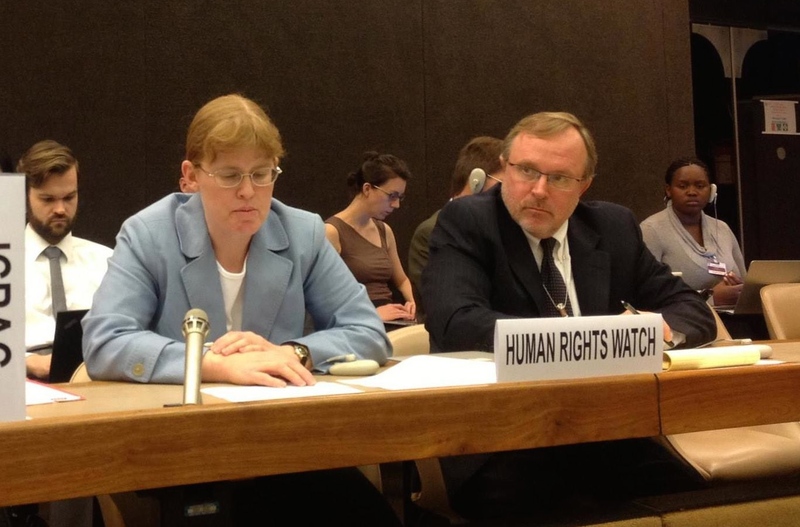 In advance of the meeting, Human Rights Watch and Harvard Law School’s International Human Rights Clinic issued a five-year review on developments relating to incendiary weapons–particularly evidence of recent use in Syria and Ukraine, as well as allegations of use in Libya and Yemen–and the evolution of countries’ policies and positions on incendiary weapons. They called on states to agree to a new CCW mandate that sets aside time to discuss the implementation and adequacy of the protocol, flagging the CCW’s Fifth Review Conference in December 2016 as a key milestone for taking action. Zambia said it is concerned at the harm caused by incendiary weapons and condemns use. It supported measures to strengthen Protocol III and affirmed that an absolute ban would afford greatest humanitarian impact. At the CCW meeting, the International Committee of the Red Cross (ICRC) called for a review of the operation and status of Protocol III as well as for states to report on their national policies and operational practices. It also requested discussion on measures to avoid the foreseeable indiscriminate effects of munitions that have incidental incendiary effects, such as white phosphorus. Article 36 and PAX joined Human Rights Watch in calling on states to condemn the use of incendiary weapons and take steps to urgently strengthen the incendiary weapons protocol, which has never been reviewed in its 35 years of existence. Despite the lack of progress in beginning actual deliberations on incendiary weapons, the 2015 annual meeting demonstrated how the international response to these weapons shows no sign of abating. For the fifth year in a row, the CCW report has acknowledged concerns over recent use of incendiary weapons. The 15 states that addressed incendiary weapons in their statements to the 2015 annual meeting represents an increase on the 12 states that did so in 2014 and 2013. In the past two CCW annual meetings, Canada, Germany, Ireland, Lithuania, Mexico, Netherlands, Pakistan, State of Palestine, Norway, and South Africa also expressed concern at incendiary weapons. Flyer for 13 December 2016 briefing.